These days I am scouring Netflix, Amazon Prime, Acorn, and Xfinity to find a serial costume drama to keep my free nights as satisfyingly occupied as my viewing time with Downton Abbey. I know I have been harsh with my reviews this season. Consider this: One Top Chef’s judge’s explanation of his harsh reviews of the dishes he sampled by the excellent chefs competing on that show was that all the chefs served outstanding dishes. It was his job to find the one dish that stood out from the rest. 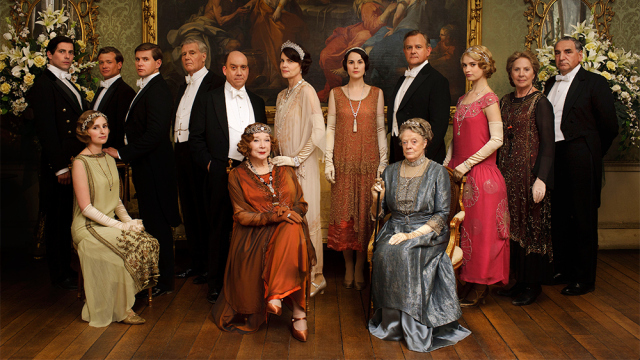 In that light, I viewed Downton Abbey Season 4 as a sterling show and each episode as a separate dish. The season started out tepid and somewhat disappointing, but finished strong, pleasing my palate and leaving me hungry to see Season 5. Let’s face it, there aren’t many outstanding shows like DA out there, not if you like your characters to be polite, beautifully clothed, and moving in breathtaking interiors and scenery. I admit to enjoying House of Cards, Game of Thrones, and Vikings – but these violent shows are far from polite, and I prefer my daggers drawn verbally, a la Violet. While I liked watching Mr Selfridge (soon to be aired), Call the Midwife, Sherlock, and other PBS Masterpiece specials, they do not compete with my DA addiction. Last week, I found myself watching DA Episode 1, Season 1 with my sister-in-law, who rarely watches television, but who had FINALLY been persuaded to give the show a try. By the second night, she had watched the entire first season. Now that we’ve had a couple of weeks to ruminate over Season 4, what did you think of the final two episodes? Thumbs UP, Thumbs down, Meh, or Can’t Decide? Curious minds want to know. 1. Lady Mary’s wooden with grief, or Lady Mary’s always wooden. 2. Edith’s a hussy; her public passion (in a restaurant, of all places) went beyond the boundaries of good taste, or Edith’s finally getting some – good for her. 3. Mrs. Patmore and Robert Crawley, Lord Grantham, have so much in common – they could stand to lose a tad of weight, or they’re so old-fashioned, their heads are screwed on backwards. 4. Violet’s quips are becoming predictable, or the dowager duchess will never wear thin. The Abbey simply isn’t the Abbey without her. 5. Lady Cora showed some feistiness in firing that awful nanny, or Lady Cora has the worst taste in ladies maids. 6. John Bates and his Anna will produce a Batesy Jr., or (after Green’s awful assault) we don’t know what will happen to Bates and his Anna. 7. Tom Cullen as Lord Anthony Gillingham will make a splendid suitor for Mary, or Tom Cullen holds no candle to Matthew (Dan Stevens.) Alternate observation: It’s a bit too soon, isn’t it, to hint of a new guy for Mary? or it’s about time that Lady Mary’s knickers get twisted. 8. Alfred and Jimmy will come to fisticuffs over Ivy, or Daisy and Ivy will have a major food fight over Jimmy. 9. Molesley will prefer ditch digging over working as a footman, or he will trip Carson on the stairs and ascend to the title of Butler. 10. I miss O’Brien, or I’m glad she’s gone. Please let me know your thoughts or provide a few observations of your own. 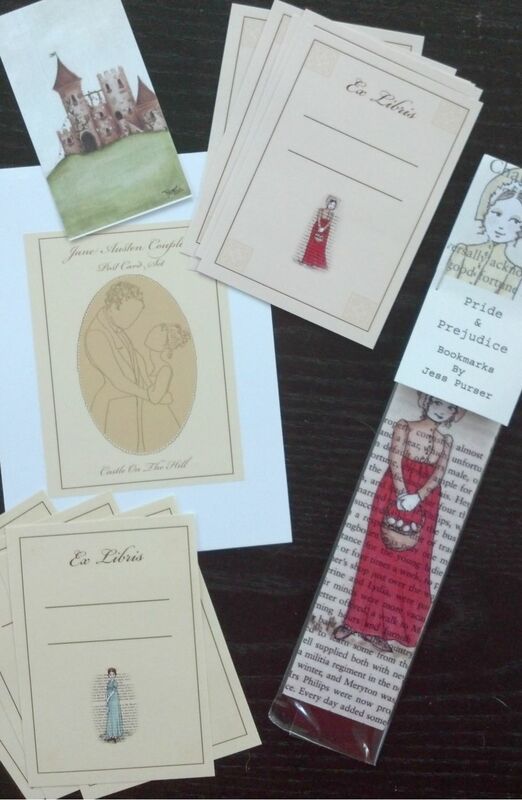 What better way to resume my blog than with Jessica Purser’s lovely Jane Austen post cards and bookmarks? I apologize for my unexcused silence. Life simply caught up with me, and due to a schedule that overwhelmed me because of work and family obligations, I had to cut back on my blog, and Facebook and Twitter comments. I did keep up with my Pinterest boards, for I found that cataloging images was as relaxing as playing solitaire. Whenever I found 10 spare minutes here and there (while waiting, watching the news or a television show, or during a solitary meal), I would pin. I want to thank those who persisted in contacting me (and who I needlessly worried) and who coached me to return to my blogging duties a little earlier than I had planned. Jessica Purser sent these lovely cards and notes for me to review in July. They certainly deserved my immediate attention and not such a long wait. I placed a number of the images on my table. Sorry about the quality of the images. I have interspersed them with images from Jessica Purser’s Etsy site. 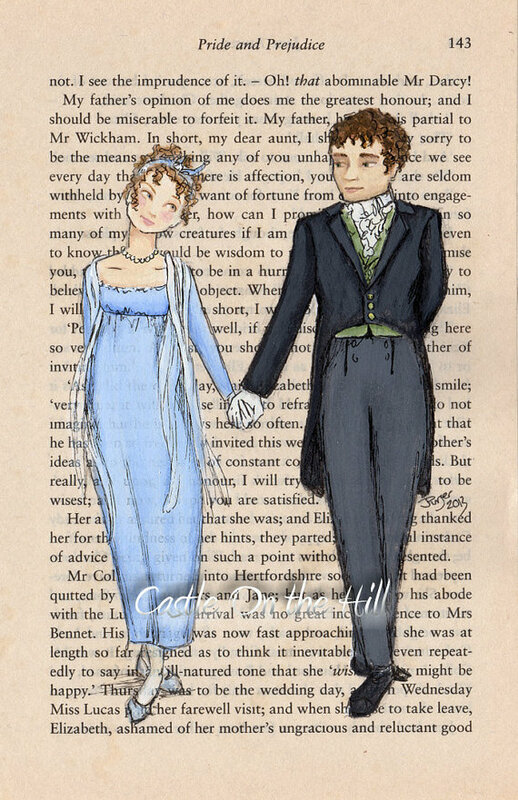 I am sure that many of you have already viewed samples of Jess’s images on Facebook, Twitter, Tumblr, and Twitter, but I couldn’t help sharing these cute interpretations of Jane Austen’s characters anyway. Ms. Purser sent me quite a few samples, which I photographed (rather clumsily, I must admit). I am also featuring a number of images from her Etsy site. I can’t think of a better way to restart my blog than to share Jess’s wonderful creations with you. 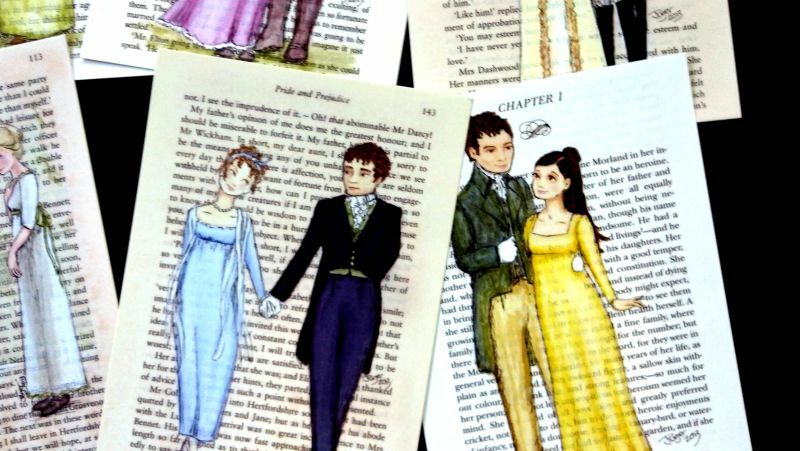 They are painted on pages of Jane Austen’s novels, which provide context. The postcards are printed on hardy card stock and the larger images are suitable for framing. I have been using the bookplates and bookmarks, and sharing them with friends. Bookmarks and book plates. How lovely. Thank you, Jessica, for this lovely art work. Michael Chwe is an associate professor of political science at UCLA whose research centers on game theory and “its applications to social movements and macroeconomics and violence. 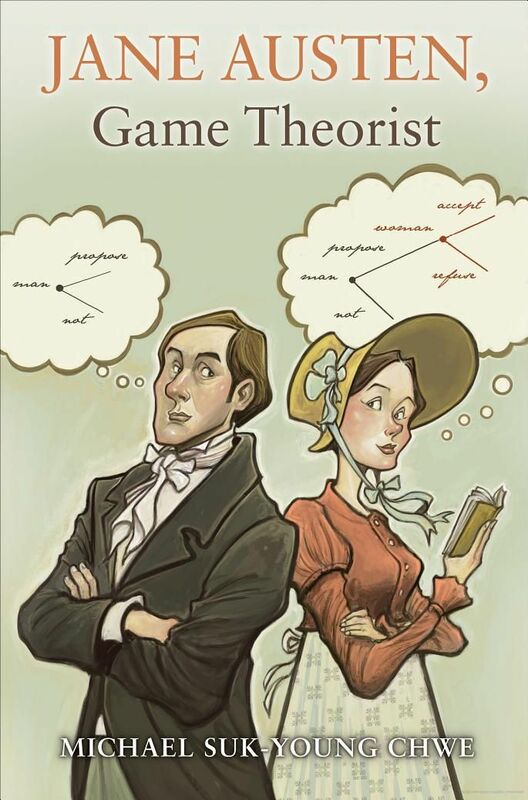 He has written a book entitled Jane Austen: Game Theorist, which asserts that Austen is one of our best social theorists. Steve Levitt of the University of Chicago, Economics Department uses the following definition of game theory: “The study of the strategic interactions between a small number of adversaries, usually two or three competitors”. This application is usually applied to sports and gambling. In his introduction to the podcast between Levitt and Chew, Stephen J. Dubner, co-author of the pop-economics book Freakonomics, writes that Levitt loves Clueless, a movie based on Emma, and has watched it repeatedly. The film is about a young woman who constantly schemes to set up others romantically and continually meddles in their lives. Levitt sees that Jane Austen does this intentionally and uses strategic thinking explicitly in her novels. [T]here are lots of little parables, or little asides, in the novels which don’t have anything really much to do with the plot or anything. You could just take them out and no one would care, but they do seem to be little explicit discussions of aspects of choice and aspects of strategic thinking. So, for example, in Pride And Prejudice, the very first manipulation is kind of what gets the whole novel started. The Bingleys come into town and so the Bennet family has five unmarried daughters, and that’s kind of a huge problem. So Mrs. Bennet is super-focused on getting her daughters married and for obvious reasons. It’s not like they can get jobs or anything. If that is the main way, you could become either a governess or you could get married. That’s basically it. So the very first manipulation is Mr. Bingley shows up with his sister and they rent out Netherfield which is this estate nearby. And so Mr. Bingley’s sister invites Jane to come for dinner. And the first manipulation is Mrs. Bennet says, “Well you’ve got to go on horseback.” … The daughters say, “Why horseback? Shouldn’t she take the carriage?” And Mrs. Bennet says, “Well, it’s going to rain and if she goes on horseback it is very likely that they will invite her to stay the night, and hence she’ll get to spend more time.” [I]t seems kind of silly but you have to play for keeps. This is a big deal. If you know, if somebody marriageable is nearby and you have a chance to spend 20 more minutes with that person, you’ve got to go for it. … And so in Pride And Prejudice, Mrs. Bennet is not a very sympathetic character, and she seems to be very foolish, but if you look at what she accomplishes, it is pretty good. Jane marries and she incentivizes Lydia, who runs off with Wickham without being married, which is a scandal. But maybe she realizes that by creating this crisis situation the members in her family will solve he problem for her. Here’s another interesting observation that Chwe makes: in Jane Austen’s novels, high status people have difficulty understanding that low status people are capable of strategic thinking. Click here to see a short YouTube video on the topic. The podcast from Freakonomics lasts another 17 minutes after the discussion quoted in the text above. Click here to enjoy the discussion! 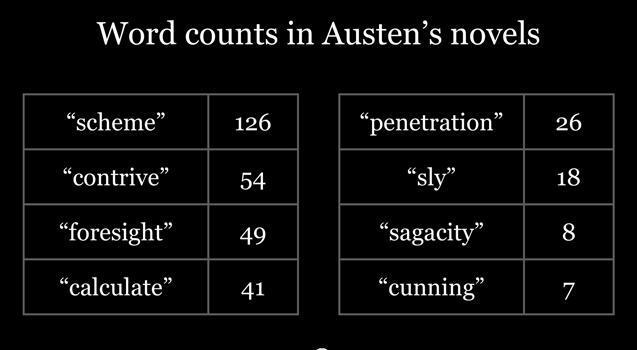 Analysis of the strategic words Jane Austen uses in her novels. Order the book at this link. Read the first chapter at this link. My thanks to Christine Stewart for sending the link to the podcast! 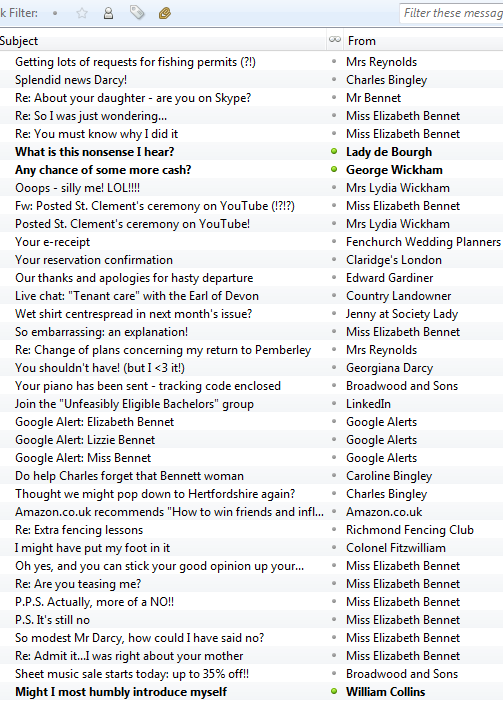 Mr. Darcy’s inbox by Mark Brownlow, Click on image for larger version. 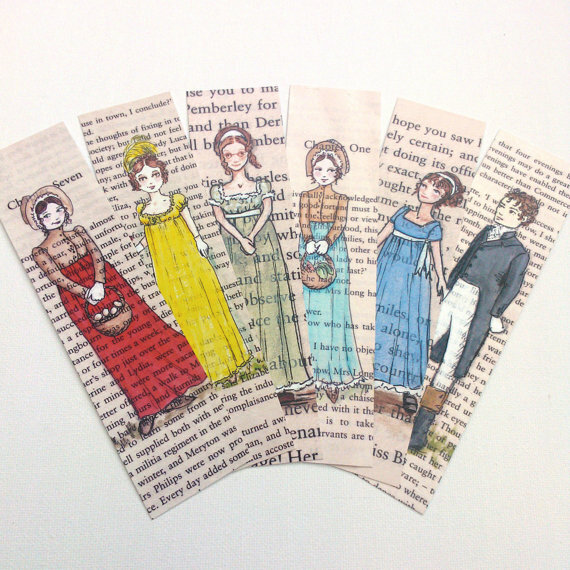 More Jane Austen inboxes here! 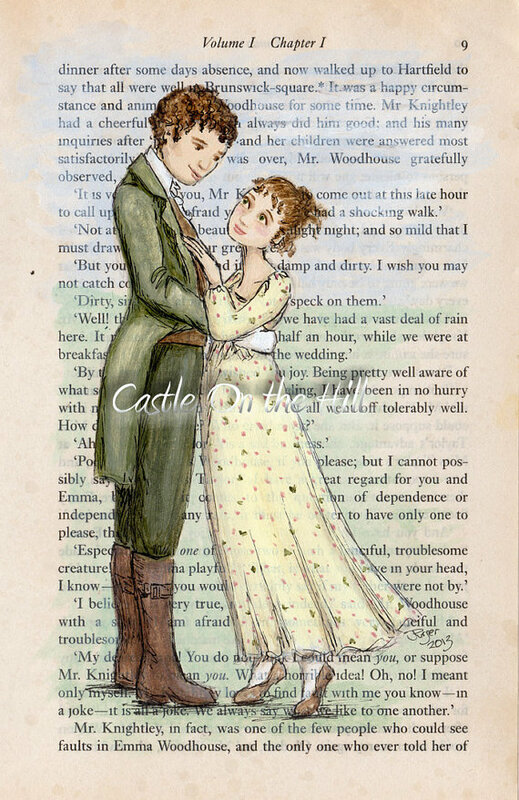 Click here to read the inboxes from Catherine Morland, Anne Elliot, Elinor Dashwood, and Elizabeth Bennet. Please note: the ads at the bottom of this post are by WordPress. I do not receive money for this blog. Ever heard of The Irrelevant Show? 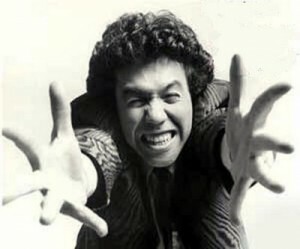 I wouldn’t have until I noticed that Gilbert Gottfried, the original voice of the Aflack duck, read Sense and Sensibility using his *ahem* unique comic’s voice. Imagine Gilbert living 200 years ago and reading by candlelight at night with that voice. It does not bear to think about. Here’s the link to the CBC player. Gilbert’s reading starts after the introduction. Thankfully, his reading is blissfully short. 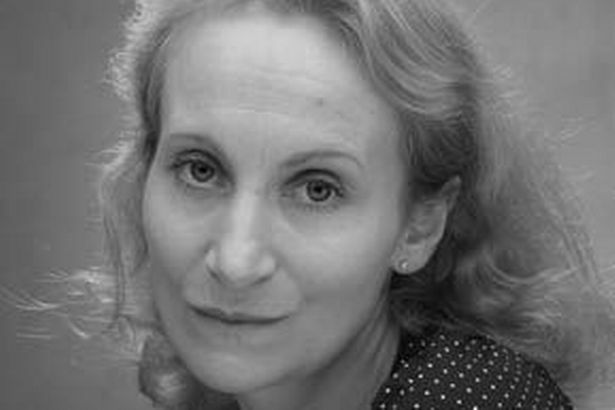 On a more serious note, story teller Julie Ann Cooper will stage a retelling of Pride and Prejudice on Friday, June 14th at 7 PM at Theatre Absolute, a converted chip shop in Coventry. This event is part of the Literally Coventry Book Festival, which runs from June 10 to 15 this year. Click here to learn more. Thanks to Netflix, my houseguests and I are watching the Vicar of Dibley and savoring each episode, for we are viewing the last season, in which (be still my beating heart) Richard Armitage plays Geraldine’s swain Harry, and Jane Austen’s novels become a point of discussion. Dawn French as Geraldine is at the top of her comedic game in this series, which was woefully short and had too few episodes to please this Dibley addict. If you have a Netflix account or can watch the videos streaming somewhere, I highly recommend this funny, warm-hearted series. The fact that the Vicar is a Jane Austen fan put more icing on the cake for me.